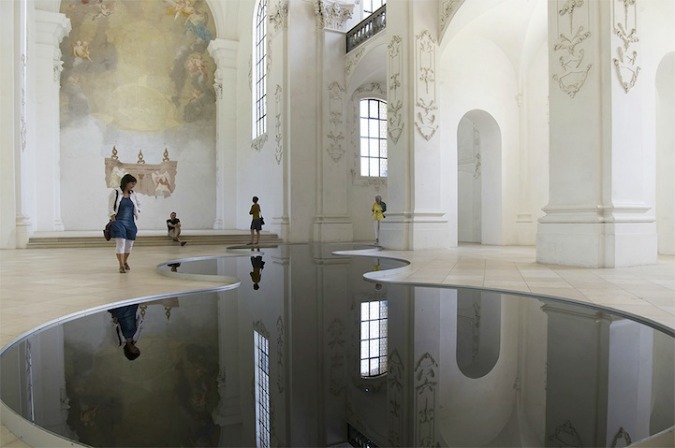 Inside Switzerland’s Bellelay Abbey, two intriguing pools of recycled motor oil create serene, unbroken reflections of soaring architecture. The chapel’s ornately decorated arches and vaulted ceilings are mirrored in vivid detail on the oil’s rich, glassy surface. Unlike reflections in water, the oil pool minimizes glare and lets viewers gaze deeply into the images. The addition of the oil pools to the chapel is interesting because it contrasts light and dark in a striking juxtaposition. 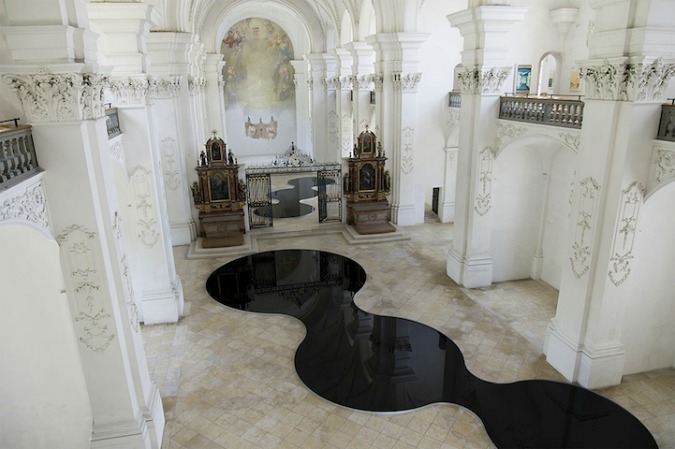 The oil’s shimmering black surface boldly complements the chapel’s pristine, white-washed walls. 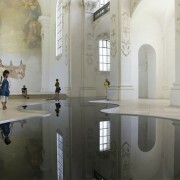 The pools were added to the church as part of an art installation by Swiss artist Romain Crelier in 2013. Along with creating a feeling of augmented spaciousness, the reflection pool offers a means of recycling otherwise unusable material. (source).